thankful. like, really really thankful. The Apt. B family might make my heart burst today. Ya'll are just the best. The Apt. B Facebook page hit 1,000 likes today, and while that might be a drop in the bucket for some, it's a cup overflowing for me. I'm feeling all the feels right now, so I warn you now that this is a sappy, from-the-heart kind of post. When I officially re-launched my business as Apt. B Photography back in August, I wasn't sure what to expect. I knew where I wanted to push my business, but I couldn't have even guessed what the second half of 2014 would have in store for me. 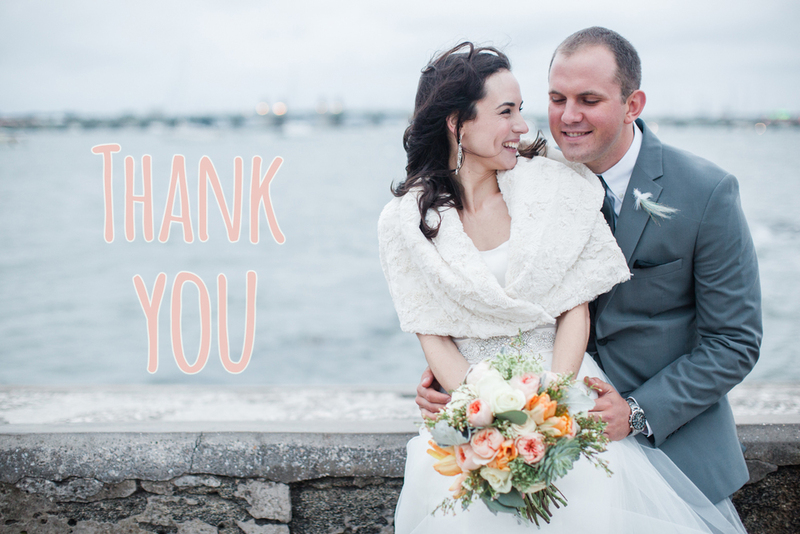 From shooting Southbound Brewing Company'sfirst wedding reception to shooting a destination wedding in St. Augustine on New Year's Eve, I couldn't have asked for cooler opportunities or sweeter clients. And now, here's 2015, and I can already tell it's going to be a year filled with all kinds of awesome. When you have couples talking about low country boil rehearsal dinners on Tybee, country-chic shindigs at Woodlawn Plantation, and intimate dinner parties at Cha Bella, you know you are doing something right.